Kristen Frederick serves as Congressional Liaison for the Architect of the Capitol. Throughout the U.S. Capitol Building's 220-year history, there have been many workers who have labored in obscurity, their names forever lost to the passage of time. Recently when I was researching the third Architect of the Capitol, Charles Bulfinch, I stumbled across a Capitol worker with an interesting—and largely forgotten—story. His name was Pringle Slight (pictured below) and Charles Bulfinch hired him in 1825 during the completion of the first Capitol dome. Slight was a master carpenter and quickly became invaluable, serving in a sense as the U.S. Capitol's "handyman" and completing odd jobs for various House and Senate offices. In 1851, when Thomas U. Walter was appointed Architect of the Capitol, Walter named Slight the foreman of the carpenters. Slight's true value, however, became apparent when it came time to replace the first dome, made of wood and copper, with a cast iron dome designed by Walter. Since Slight had maintained the dome for more than 26 years, his vast experience was appreciated, especially his understanding of the copper covering the outer dome, which he had replaced in 1834. For that installation, Slight had devised curved ladders and he now suggested they be used to economically remove the copper cladding in large pieces, which could then be resold. Slight's extensive knowledge of the Capitol Rotunda was also on full display during this time. He knew where the weak part of the Rotunda floor was due to a circular opening that had once been in the middle of the floor and he had helped close in 1828. Based on this knowledge, a tripod scaffold was subsequently designed to avoid it. Carpenters, led by Slight, built the scaffold and a temporary wooden roof to protect the Rotunda during construction of Walter's new dome. The work on the Capitol became a family affair for Slight when his son Robert was hired and employed as a rigger. Unfortunately, this story has a rather tragic ending. 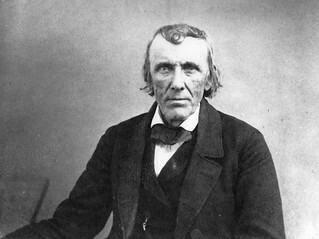 After serving the Capitol for more than 35 years, Pringle Slight died on November 27, 1860, at the age of 70. In late December 1861, more than a year after the death of his father, Robert Slight was working on the dome when he slipped from the scaffold and fell to his death, coming to rest on the temporary wooden roof, the same one his father had constructed. Robert was 42 years old. Father and son are buried at the Congressional Cemetery on Capitol Hill. While Robert's story may be more well known (due to a persistent myth that his ghost haunts the Rotunda), it was his father Pringle Slight who had a more direct impact on the Capitol and its two domes. He is just one representation of the many thousands of workers who toiled in the heat of the Washington summers and cold of the winters to perfect the beautiful building the Architect of the Capitol now maintains and preserves for future generations of Americans. This is fascinating! I have never heard the story of Pringle or Robert Slight. I knew that there were several ghosts rumored to be floating around the Capitol, but I didn't know one of them was a worker that had tragically fallen to his death. Thank you very much for this information. Pringle was born on 8 April 1790 in Tranent, Scotland ( about 7 miles from my home ) He married Catherine Murray on 24 August 1815 at Inveresk Eastlothian. I am not sure when they left for the USA. Pringle was baptised on 18th April 1790 and one witness was George Slight , his father ( Alexander's ) brother. George Slight is my Grandfather x6 removed. Glad to hear he was a Master Carpenter - this must run in the family - father, grandfather , great grandfather !